You are here: Home / Latest News / 4G Wimax or Fix Wired Connection? 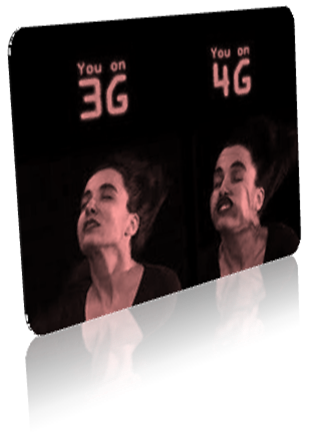 4G is known to be the 4th generation of mobile telecommunication standard. 4G claims to give 10 times faster mobile internet connection compared to its ancestor, the 3G. With 4G mobile internet, you can actually do interrupted connection while doing mobile internet gaming, mobile HD movies viewing and the use of mobile VoIP services. 4G Wimax a lot of job to do before it can annihilate the wired internet connection. If you are in a 4G Wimax connection, you can have problems with the connections in places where there are still no established 4G networks. Although network providers claim to invade all the areas in the US, with thousands of users sharing minimal towers, it could still be a toll to 4G users. This scenario could be prevented if 4G Wimax providers consider some users that are stationary. There design should be focus to everyone not only to those mobile individuals. Since there is still no established network that offers a reliable internet connection like the wired connection can offer, most network providers answered the demand on the data use by limiting the internet data use up to 5 gigs a month in standard basis. This could be so annoying to users that love to download music and movies. Compared to a wired connection, downloading movies and music could never be an issue. However, the downside of the wired connection is its mobility. You could not have an extended internet connection to your office using your wired internet connection. So as per advice, you can have it both depending on your needs. Most of the wireless internet providers are telecommunication companies. Number one reason they limit their services is because they prioritize there pioneering service which is phone call. Using all the bandwidth could cause interruption in the phone calls which is very crucial in their business. That is why; to those who would love to download HD movies should think twice before they will cut their wired connection. If you are a person that grew up in the 80s and 90s, you would reminisce that you survived the world without internet. But to those who badly needing the internet, you could pay 30% more for your wireless internet connection compared to the wired connection. It is not cost effective to subscribe to wireless connections especially if it is still not much founded in your area. Both wireless and wired internet gives fast internet connection. There is no doubt in the speed the two connections could offer. However, if you really want to nitpicked each connections, then you will be coming up into a conclusion that it really would depends on each individual’s needs. In conclusion, before deciding what connection you will pick, try to weigh first your needs for the internet connection. Jashon Wills is an article writer. He specializes in topics like the internet, technology, telecommunications and latest inventions. Click here to check more of his articles. Thanks for sharing importance of 4G Wimax and key point difference between wired and wireless network.